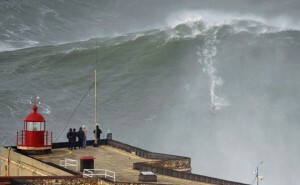 Wow, I was looking at pictures of the big wave surfer Garrett McNamara setting a new record of riding a 100 foot wave. It got me thinking about how engaging the image of the surfer has become. Since Isaac Newton, our traditional view of how the world works is that of a clock and this image has underlined how we make sense of the world – rational, precise, outside nature, detailed and predictable. 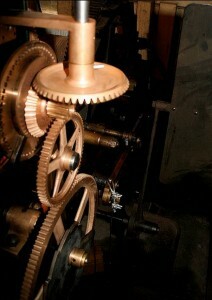 Across many fields of study this clockwork image no longer accurately reflects our understanding. A far better representative image for a more sustainable world is that of a surfer – fluid, intuitive, of nature and future focussed. This clockwork image implies the involvement of a designer (a God); suggests that the whole is no more than the sum of its parts; puts forward a way of understanding based on empirical knowledge; and that we predict the future through accurately measuring the past. The image of the surfer is in many ways far less ‘sure of itself’. It implies that the only way to know is to do it; it suggests that getting it right is about being at one with the environment; it demands a systems based understanding; that balance is all important; and that we can only move forward through focussing on the future and learning from it. The surfer who focuses on his feet or the wave behind him is doomed. The upcoming future wave is approaching so fast and is constantly changing so one has to use feeling, intuition and one must be fully alive to sense the right subtle moves to make, in order to stay upright. Much of the language used when talking about sustainability has resonance with those used for surfing – balance, flowing, free, waves, feeling etc. 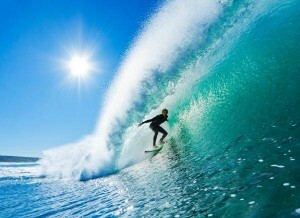 If clockwork were to be given a gender it would definitely be masculine; surfing is much more feminine. Surfing and sustainability – a much better fit.